Birmingham is a shopper’s paradise. Whether you seek head-turning chic or eye-catching value it’s all here. From Harvey Nichols to Selfridges, to the welcoming mix of centres, our historic markets or the world-famous Jewellery Quarter, the shops in Birmingham offer you everything you could ever want in an attractive and compact space with plenty of great café bars and restaurants to keep you going. 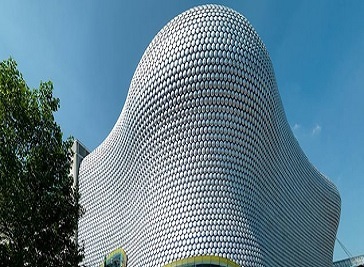 Bullring Birmingham, one of the biggest shopping centers in town, with 160 stylish stores featuring 2000 leading brands, Bullring is the premier destination for shopping. ‘Mailbox’ shopping Center is pure indulgence where famed fashion and lifestyle design clash head on with contemporary art and fine furnishings. ’Grand Central’ situated directly above New Street station, Grand Central is home to one of the largest John Lewis department stores in the country. Grand Central also has over 60 new premium shops restaurants cafes and fully integrated with the stunning station redevelopment. ’Pavilions’ On Birmingham High Street there is Pavilions, jam packed with top names From Major high street retail brands including Marks & Spencer. Pavilions Shopping Centre is located in the heart of Birmingham City Centre. 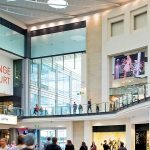 With over 38 top brand stores and a 700 seat unique Food Loft, it’s the best place to shop when you visit Birmingham. 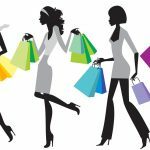 It has a very nice environment where people enjoy shopping with friends and family. Bullring is the glamorous heart of Birmingham with over 160 imaginative and desirable shops to explore, plus a whole street dedicated to delicious dining. Bullring is the glamorous heart of Birmingham and home to one of the country’s most popular shopping destinations. There’s plenty of choice at Bullring including the city's newest dining destination.